Senior Pastor, Watson Teaching Memorial Ministries The Rev. Tom Watson has dedicated his life to public service as a pastor, community organizer and leader in the city of New Orleans. In 1988, Pastor Watson was ordained into ministry and assumed pastoral leadership on the same night. He serves as Senior Pastor of Watson Memorial Teaching Ministries (located in Uptown and Algiers). Pastor Watson started the Citywide Men’s Conference that featured a 1000 Men March that focused on developing the male seed, strengthening the family and crime prevention. In recent years, Pastor Watson has convened a Citywide Summit on the African American Male where a community dialogue and call-to-action take place that address crime, Black men and boys, and their relationship with the police. More than 400 community leaders, sitting mayors, state and local law makers, law enforcement and federal officials, judges, grass root organizers and concerned citizens have gathered for the annual event. Pastor Watson is the founder of the Youth March-for-Jobs Initiative that promoted employment of young people during the summer of 1994 when the city’s murder rate skyrocketed to over 400. Pastor Watson served as co-chair of the New Orleans Public Schools Taskforce on Dropout Prevention and the U.S. Attorney’s Office Weed and Seed Crime Fighting Program. In 2006, Pastor Watson offered his time, talents and leadership to run for mayor of New Orleans to ensure that the city was rebuilt with equity. Pastor Watson's life and brave actions reflect his need to give back to the community he loves and a personal responsibility to do what is right and just. Her public administrative experience includes serving as Director of Board Operations and Intergovernmental Relations for the Orleans Parish School Board, Executive Assistant for Federal and State Programs for former mayors Marc Morial and Ray Nagin. Ms. French has also served as an Assistant Professor of Sociology and Criminal Justice. She is a member of the National Community Action Partnership, the Alliance for Children and Families, the Louisiana Workforce Investment Council, the New Orleans Workforce Development Board, the Association of Community Action Partnership of Louisiana; Orleans Parish Juvenile Justice Advisory Committee, Criminal Justice Coordinating Council, Providence Community Housing, and Delta Sigma Theta Sorority, Inc. However she states her proudest achievements are her children, daughter Nia Danielle Harris French, son, Gerard Norbert French and grandchildren Cairo Gerard and Reese Bailey and Reagan Danielle. Immediately before his appointment at Marquette University, Dr. Fuller served as the Superintendent of Milwaukee Public Schools June 1991 – June 1995. His prior positions included: Director of the Milwaukee County Department of Health and Human Services 1988 -1991; Dean of General Education at the Milwaukee Area Technical College 1986 – 1988; Secretary of the Wisconsin Department of Employment Relations 1983 – 1986; and Associate Director of the Educational Opportunity Program at Marquette University 1979 – 1983. He was also A Senior Fellow with the Annenberg Institute for School Reform at Brown University 1995 – 1997. 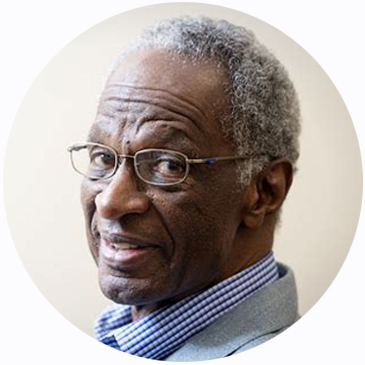 He is also known for the community organizing work he did in Durham, North Carolina as an employee of the anti-poverty organization, Operation Breakthrough, and as a co-founder of the Malcolm X Liberation University in 1969. Darryl Kilbert served as Superintendent of New Orleans Public Schools from 2006-2012. Before being elevated to superintendent, Kilbert worked as a teacher, assistant principal, principal and area superintendent since starting his career in 1979. He’s been praised by parents and students for his no-nonsense approach, most notably when he took the reins at Alcee Fortier High School in the mid 1990s and increased graduation rates, improved grades, and increased classroom attendance. After working as a principal at George Washington Carver High School in 2004, Kilbert was promoted to an area superintendent of schools by former Superintendent Anthony Amato, where he remained until his appointment to interim superintendent, and finally to superintendent, in 2006. His life in the media is rooted in a desire for the truth, a commitment to change, and a will to leave this world a better place. The son of a public school teacher, Bill grew up in Uptown New Orleans. Nurtured by the rich New Orleans culture, he developed a love for his City, its people and a commitment to speaking truth to power! A 1967 Honors Graduate from Xavier University, Rouselle landed a publishing intern position with Time, Inc. in New York. That next year, he became the first African-American on-air news reporter in New Orleans at WDSU TV. Rouselle often shares his first day in the WDSU news room April 4, 1968 - the day Martin Luther King was assassinated. He saw first-hand how media censorship works when police authorities convinced the TV station not to air information on the riots in other urban areas in America. They feared similar reactions from local citizens. His passion for truth and commitment to his people grew stronger. In 1969, he left WDSU following a controversial interview with the protesters who were fighting the merger of SUNO into the LSU System. He would be appointed as Deputy Director of the City’s Human Relations Committee where he engineered the passage of a local Public Accommodations Ordinance, opening restaurants and bars to all citizens. Following a year at City Hall, he worked ten years in the community with the Free Southern Theater (FST). He helped organize a community-based effort to include African-Americans in the TV media. The Media Project challenged TV stations' licenses in the early 1970s and won concessions from most of the local TV stations. In the mid-70s, Bill hosted a weekly TV show on the public television station, WYES TV called Nation Time, while also serving as Producer for the Free Southern Theater. During this period, Rouselle joined the board of the New Orleans Jazz and Heritage Foundation following a community based protest for Black involvement in the event. He would eventually serve as president and help oversee the development of the festival into one of the world’s premier music events. Rouselle later worked as Director of the Parent Community Alliance, an organization developed to organize parents to be involved in public school policy. He learned about community organizing in this role under the tutelage of Oretha Castle Haley, his most important mentor. In the late 70’s, Bill headed the Ad Hoc Committee for Accountable Police, which won increased civilian oversight of police involved in brutal citizen interactions. In the early 1980s, Rouselle put his publishing skills to work at the Black Collegian Magazine, a Black owned and operated national publication based in New Orleans. Then in 1984, he and former Black Collegian editor, Kalamu ya Salaam opened the doors of Bright Moments Public Relations firm. For 34 years, Rouselle and his company have provided public relations, marketing and advertising services to a long list of clients including enduring clients like Liberty Bank, Total Community Action, The City of New Orleans, Entergy and New Orleans Public Schools. He is one of the City’s leading political strategists having managed successful campaigns for Public School and City millage elections, as well as numerous political candidates such as Dorothy Mae Taylor, the first Black woman legislator in Louisiana; State Rep and City Councilman, Johnny Jackson, both Mayors Ray Nagin and Mitch Landrieu, former U. S. Senator Mary Landrieu and recently provided a variety of services for the election of LaToya Cantrell, the first female Mayor in the city’s history. In the 1990s and early 2000s, while managing the day-to-day operations of Bright Moments, Bill hosted Sunday Journal radio show every Sunday from 7 to 9 AM on WYLD FM Radio. He simultaneously hosted a weekly TV show on the Cox Cable Access Channel called The Liberty Network – sponsored by Liberty Bank. Both shows featured news analysis, feature interviews and hard hitting, honest dialogue between the host and the viewing and listening audience. Since Katrina, local, state and national organizations alike have sought his expertise, knowledge and ability to reach into the community. Bright Moments has been instrumental in ensuring citizen participation in the rebuilding of New Orleans Public Schools, site preparation for new hospitals, creating a Master Plan for Land Use and a new Comprehensive Zoning Ordinance; as well as numerous redevelopment efforts. In 2007, Rouselle was honored with the local advertising industry’s highest honor, the Silver Medal, presented by the New Orleans Ad Club. Equivalent to a lifetime achievement award, the Silver Medal honored him for his many firsts and for his significant contribution to the industry. Bill Rouselle is married to Ethel Davis Rouselle. He has 6 children and 7 grandchildren. He is a member of Franklin Avenue Baptist Church. Jonathan also has an active interest in serving the New Orleans community. He is the President and Chairman of the Board for 100 Black Men of Metro New Orleans, Inc. and currently serves in other leadership roles for several significant community organizations. These organizations include 100 Black Men of America, Inc. (Nominations Committee Member), Collegiate Academies (Vice Chairman of the Board), New Orleans Chamber of Commerce (Board Member), Democrats for Education Reform (Louisiana Advisory Council), Black Alliance for Education Options (Louisiana Advisory Council), Black Education for NOLA (BENOLA) (Vice Chairman), New Pathways (Board Member) and a host of other previous roles in Education, Economic Development, and Civic Engagement. Jonathan earned a Bachelor of Arts in Political and Economic Philosophy from Wheeling Jesuit University in Wheeling, WV. He also completed the Leadership School at Louisiana Banker’s Association, New Orleans Regional Leadership Institute, and Resilience, Recovery, and Empowerment program with Profiled. He is an active member of the Mortgage Bankers Association, Financial Manager Society, Louisiana Bankers Association and the New Orleans Regional Leadership Institute. Jonathan has been married to his lovely wife, Erica Wilson, for 9 years and together they have a beautiful daughter, Caroline (7 months).